It is our pleasure to work with Fox Networks yearly for their annual Marketing Conference in Las Vegas. Instead of a typical ballroom, we assisted Fox Networks in transforming the Emperor’s Suite in Mandarin Oriental into the perfect venue space for cocktails, appetizers and networking. 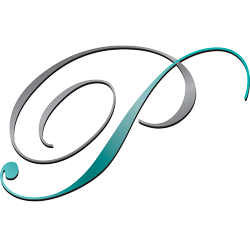 Each year a new look is achieved in the space depending on the theme. 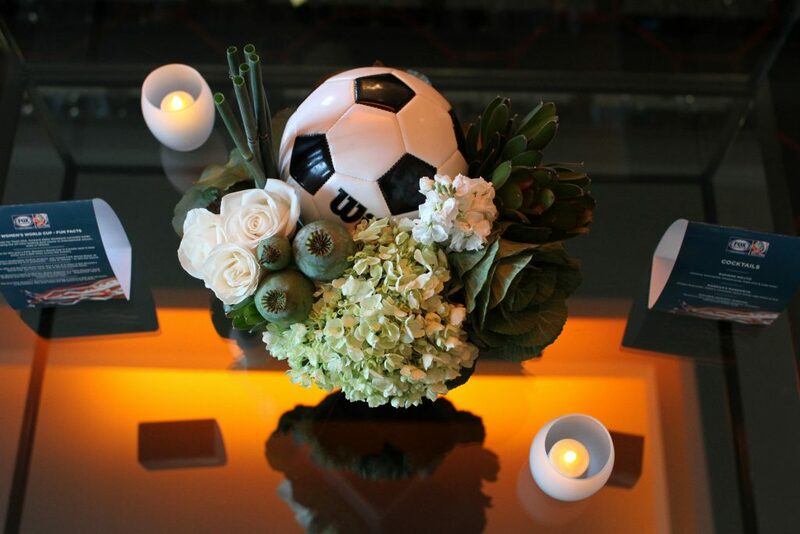 The past two years have been themed for sports during the FIFA’s Womens World Cup and a casino night to highlight being in Las Vegas. 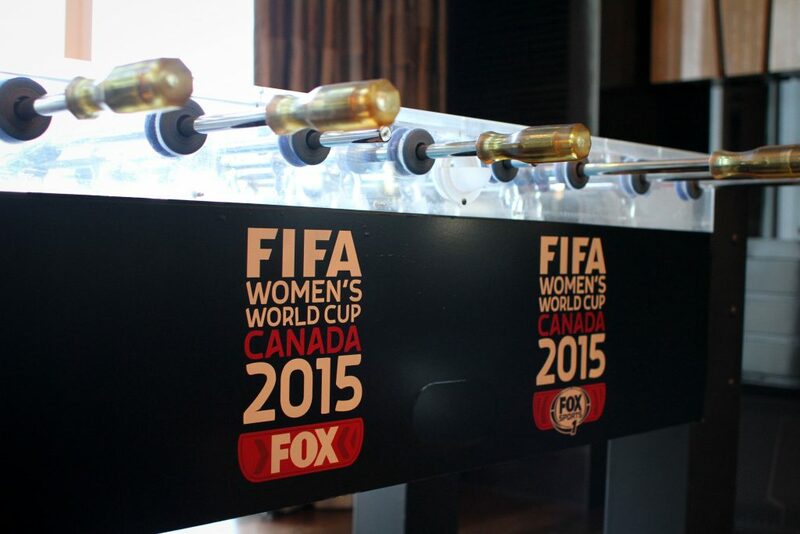 During the Women’s Soccer Theme- a branded foosball table was added into the space to bring some fun and competitive edge to the cocktail hour. 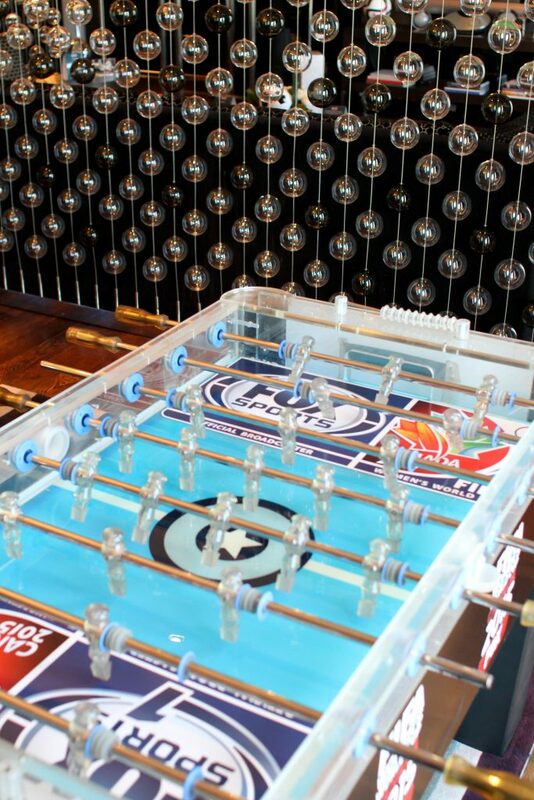 Guests could practice foosball while the game was playing on the television. 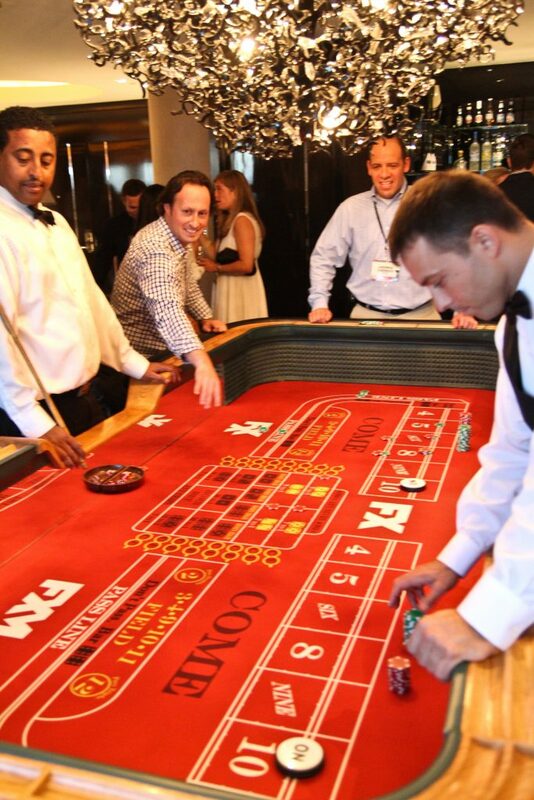 Casino night was all about strategy and learning from the pit bosses how to bet the odds and win big in Sin City. 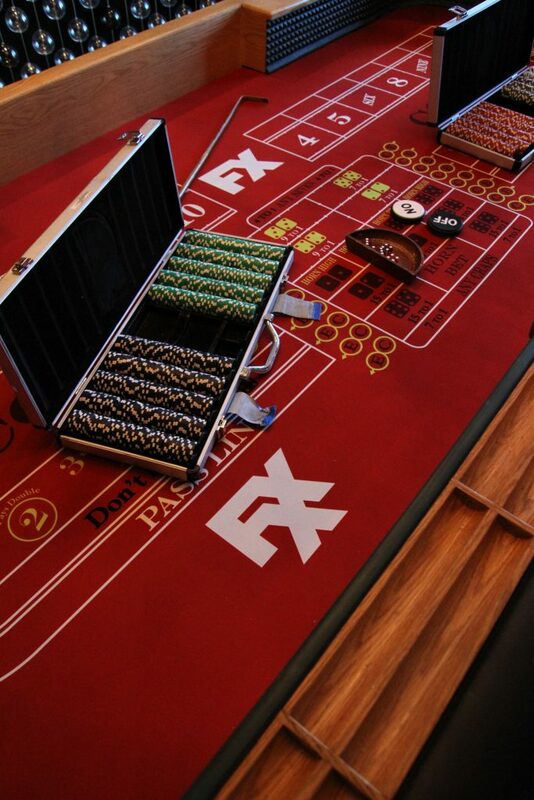 Mock gambling tables with branded Fox Networks’ logo poker chips were throughout the room. 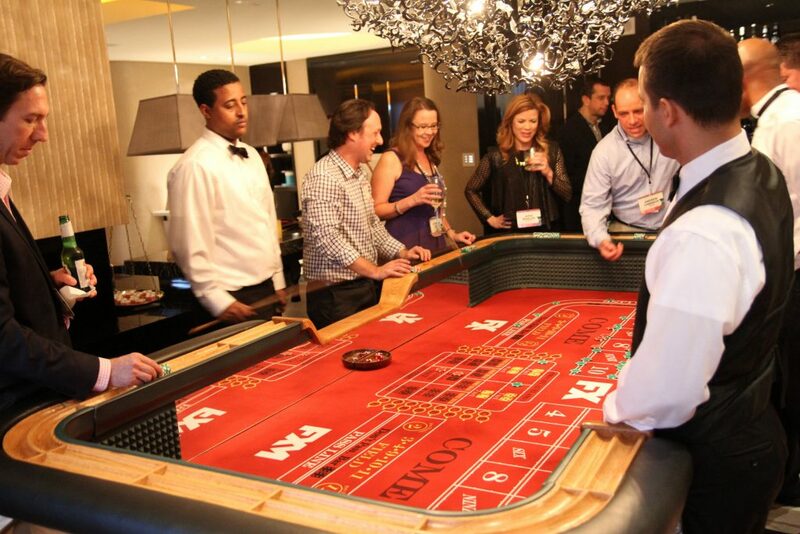 Guests chose if they wanted to play Black Jack, Craps or Texas Hold ‘Em. 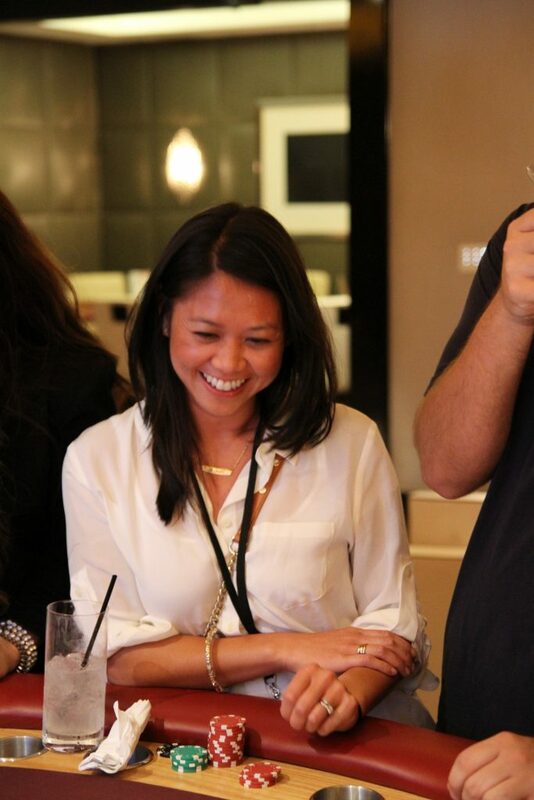 Check out more of the pictures from both events below!